Summer is waning and in the northern reaches of the country bird populations are fattening up in preparation for their fall migration south. Colorful songbirds, birds of prey, waterfowl and coastal birds follow some little-understood instinct to take to the sky in mass. Flocks depart the north at different times throughout the next few months and follow flyways that usher them to their southern wintering grounds. Some will head to South Florida many others will venture on to Mexico and Central and South America. Pensacola just happens to be in the path of one of the flyways. Many birds find our tree-lined coast the perfect rest stop to fuel up. If you’re visiting the Pensacola area during the fall, you’ll want to pack a pair of binoculars and a birding book. Don’t have a birding book? No worries, print out a bird list on the Audubon’s Frances M. Weston Pensacola Chapter’s website. We’re a birding enthusiast’s paradise. Some birders certainly check off many sought-after species in their birding books here. We even have rare visitors. A pair of flamingos hung out in our area recently. Even rarer; the red-billed tropicbird, typically found in tropical Atlantic, eastern Pacific and Indian Oceans, was spotted in Gulf Breeze in May; and a flock of Razorbills, penguin-like birds from the North Atlantic, frolicked on Pensacola Beach in 2012. So you never know what exciting feathered visitor might stop over. That’s really the thrill of birding; it’s like a treasure hunt. 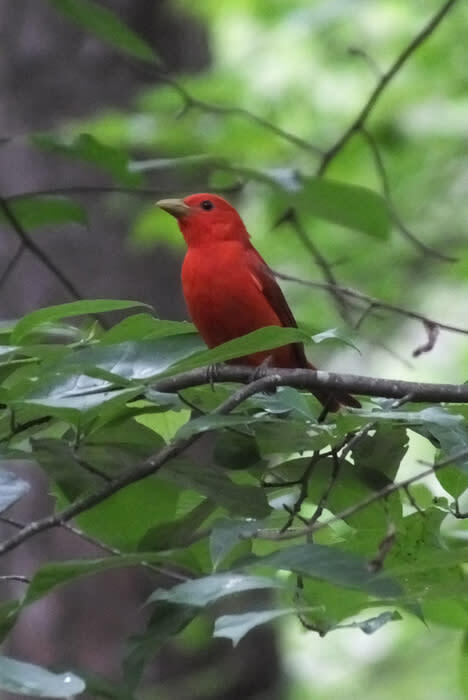 You’re more likely to see orioles, towhees, indigo buntings, warblers in hues of greens and yellows, and ruby-throated hummingbirds, along with a host of other possible visitors. 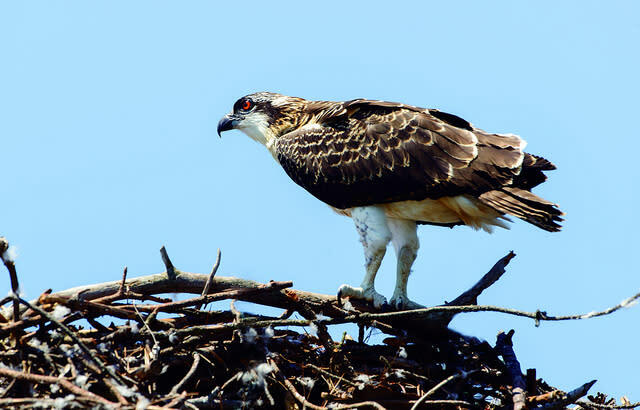 Ospreys, known as a fishing eagle, are among our local birds that will join the migration. They’re high on the list for many European birders. My husband is avid birder with an array of bird feeders on our quarter-acre backyard, greenbelt. He fills them with the perfect mix of seeds, suet and peanut butter in hopes some migrates will stop over so he can document and photograph them, and just enjoy watching them. He’s learned that if you feed them they will come. Big Lagoon State Park near Perdido Key is the gateway for the Great Florida Birding Trail, a 2,000-mile trail through protected bird habitat in the state. You don’t have to venture far to find birds. With 600-acres along the Intracoastal Waterway, the Big Lagoon parks is home to an abundance of shorebirds and wintering ducks. Its trees are likely to attract migrating songbirds. The Seashore is definitely a local hotspot for migratory birds. The miles of undeveloped coastline with oak hammocks, dune vegetation and fresh water sources is like a buffet for migratory birds seeking the fuel and rest they need to make the hundreds of miles flight ahead of them. Magnolia warblers are among the many warblers spotted here, along with tanagers and oriels. Fall signals the end of shorebird nesting season along the seashore’s sugar white sand beaches, but you still may see some snowy plovers, skimmers and least terns. This award-winning coastal habit restoration project attracts huge numbers of coastal birds and is a favorite spot for birders. Spread out along Pensacola’s Bayfront Parkway along Pensacola Bay, it offers a number of viewing sites, including Wayside Park at the foot of the Pensacola Bay Bridge. If you venture west of the bridge across the street from the Veterans Memorial Park, you’ll find a boardwalk to the Hawkshaw Lagoon at Missing Children’s Memorial. That area provides a great viewing spot of tidal marshes, sea grass beds and oyster reefs where brown pelicans, osprey, herons and even a rare Nelson’s sharp-tailed sparrow was spotted. 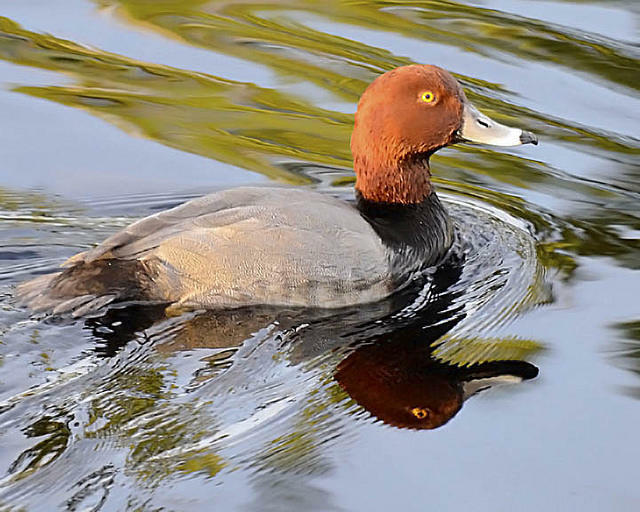 More bird watching spots: For a complete list of local birding hotspots, visit the Audubon Francis M. Weston’s chapter “Birding in the Pensacola Bay Area” website. And, check out the chapter’s website on for migrating bird alerts and to report observations. 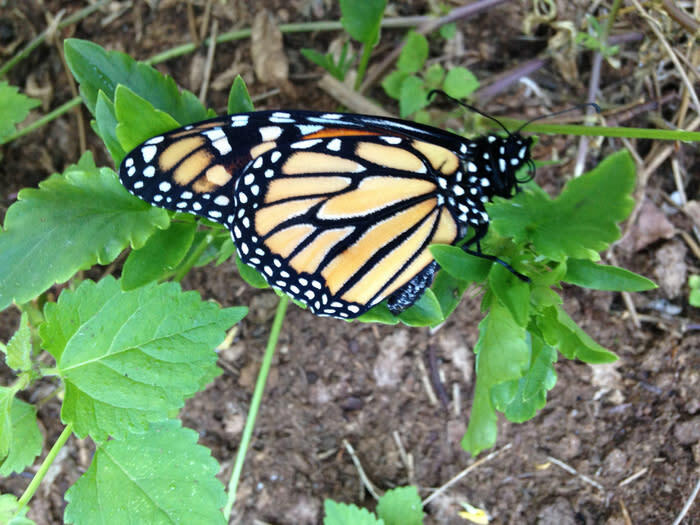 While you’re out bird watching, keep an eye for monarch butterflies that flitter along our coast. They too fly from north and stop over to fuel up on the nectar of aster and other wildflowers before migrating along the Gulf of Mexico coast to their wintering grounds in Mexico. Check out their amazing migration story at Footprints in the Sand Eco-Trail website. Have a favorite birding spot or trail? Leave a comment below!